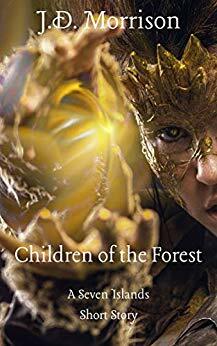 A king, a witch, an assassin, a farmer, and a backwoodsman struggle to survive in this fantasy novella about magic, power, and family. 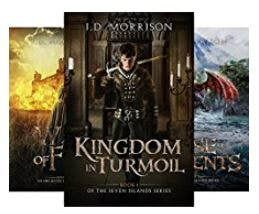 Tresladore, where both white and black magic are outlawed and masters of the sword are worshipped, is the first island we explore in this saga about kings and queens fighting to win and keep their thrones. 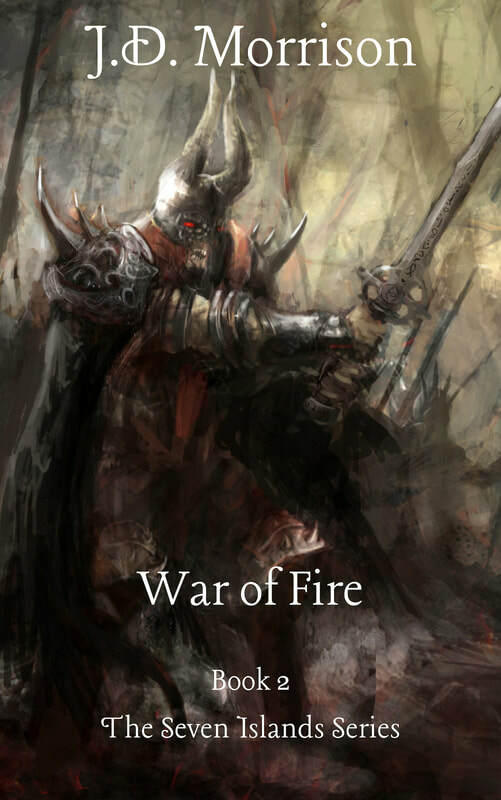 A king, a witch, an engineer, an ambitious general, a boy out for revenge, and a governor with an undead son collide in this coming-of-age fantasy novella about swords & sorcery, kings and brutal wars, and prophecies of fire. He had been at sea for several months before the storm overtook the ship. He had even risen to the rank of first mate in that time as the captain liked him very much. The captain was more gracious than he expected when Cecracy first joined the rest of the pirate crew. Generally speaking, when one joins a pirate crew they are to sleep on the deck for the first two weeks as a rite of passage. Captain Ren waived that initiation practice the day Cecracy joined for reasons unknown. Cecracy thought on that as he held onto a wooden shard of the ship in the middle of the North Sea. Witness the rise and fall of one of Tresladore's most fabled kings! Book 1 Prequel to The Seven Islands series. 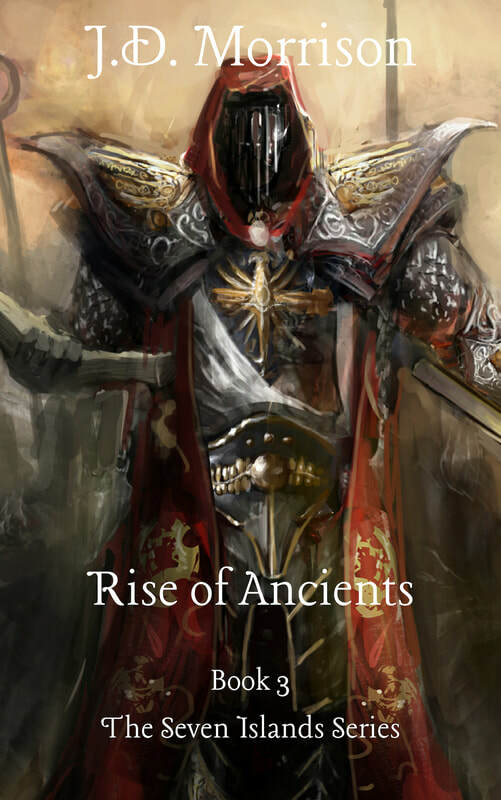 ​Viktor shows his ability to lead armies in battle in this fast-paced fantasy epic about a boy destined to be king. Viktor ascends the throne and deals with politics, foreign enemies, and love. Over a dozen children from Avanton were orphaned during the War of Fire. Fortunately, a powerful witch brought them into her home and trained them. But the witch was called away and now the children are left to take care of themselves. I'm an avid World of Warcraft and League of Legends fan even though I'm not good at either. I, like every other person on the planet, love Game of Thrones - books and show - and I enjoy playing board games with my beautiful wife and two daughters. I thoroughly enjoy watching college football with friends when my favorite team is moderately good. 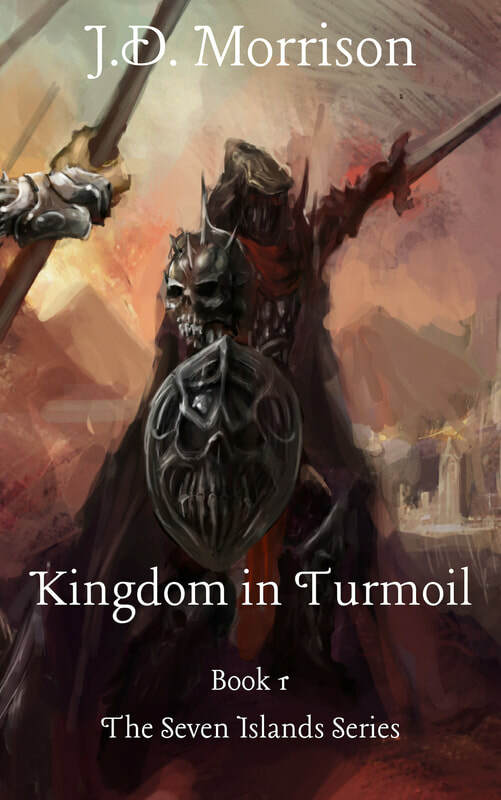 Kingdom in Turmoil is my first published novel and I'd love to know what you think of it. Please drop a review if you've had a chance to read it. You can also find me on twitter, facebook, and Instagram. I'd love to chat with you about books, movies, shows, games, etc. as writing is very much a lonely endeavour.